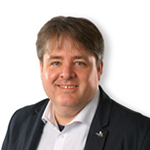 Relevant views on the economy and its impact on shoppers, retail and trade strategy. The macro economy is polarizing households at both ends of the income spectrum. 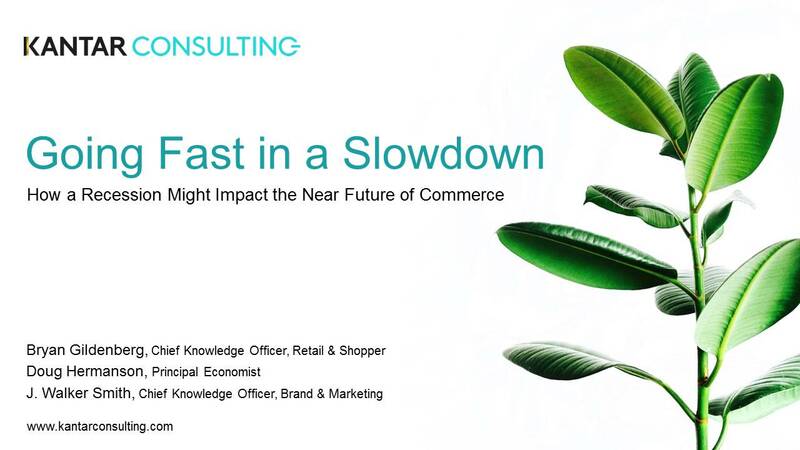 Adjusting to this new world of Haves and Have Nots is key to creating value - and long-term success - in today's retail marketplace. 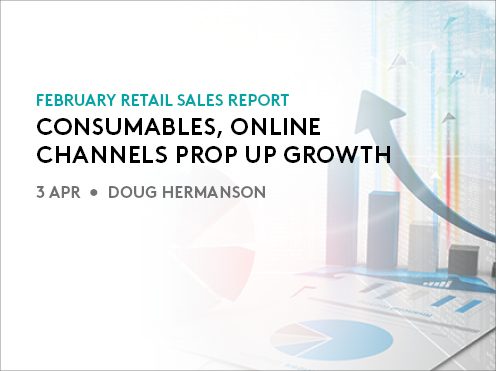 The specialty channels flopped in February, while the consumables-focused channels were more resilient. Find out in this article the cause of the divergence and if it will continue through spring. 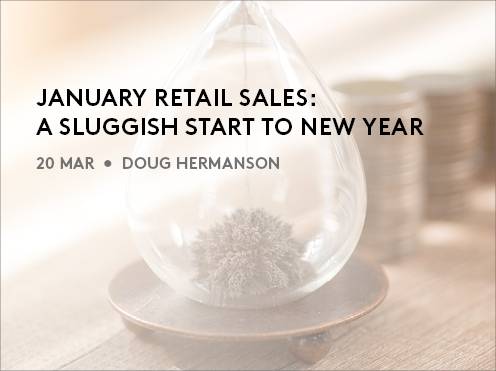 Retail growth improved to only a moderate pace in January. 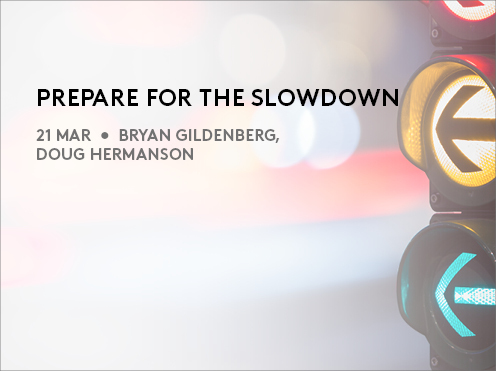 Find out in this article the cause of sluggish growth and if trends will turn around soon. 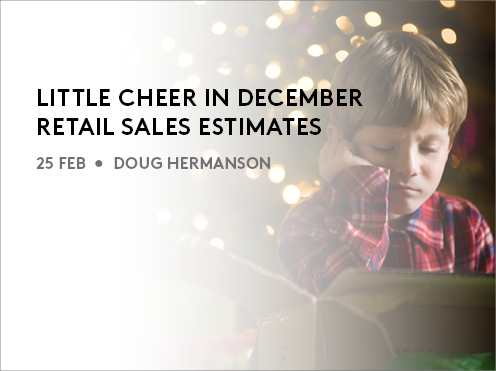 Retail sales growth in December slumped to a multi-year low. 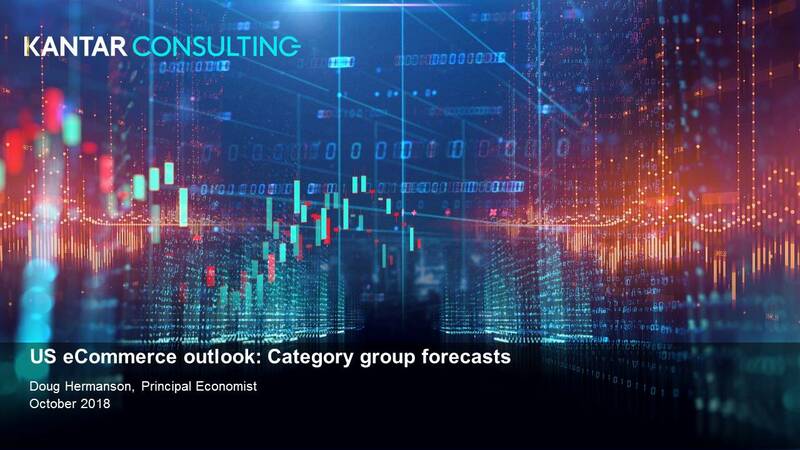 Find out in this article the economic causes of the slowdown and the retail channels that contributed most to the weaker growth. 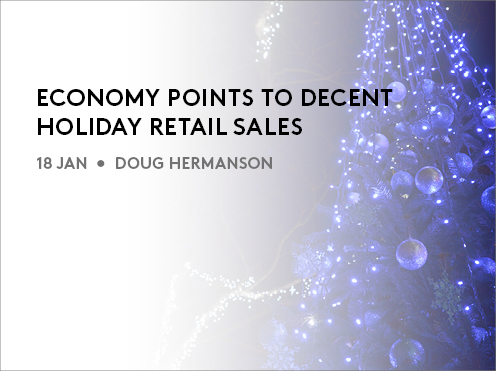 Find out whether economic conditions improved or worsened for holiday shoppers, and how this may have affected some retailers and channels. 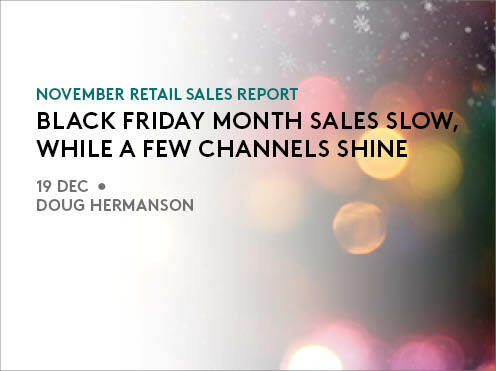 Retail sales growth in November did not shine as brightly as it did last year, but a few channels were stars during this year’s Black Friday month. 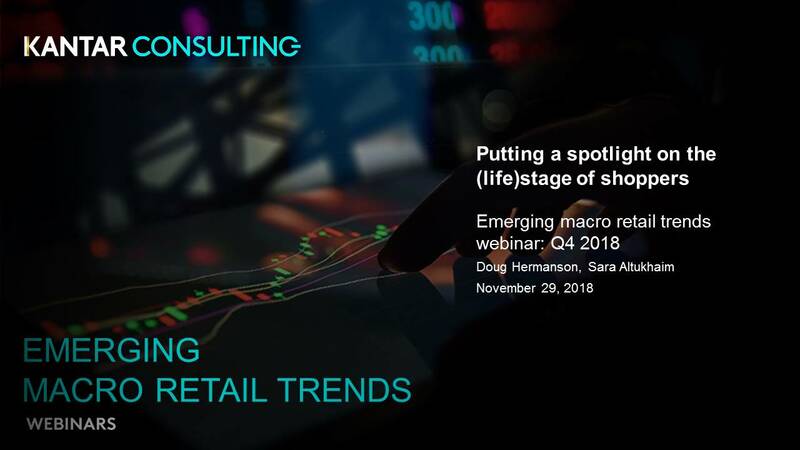 Find out in this article what channels captured share of holiday spending and if shoppers felt the chilly effects of the shifting macro environment. 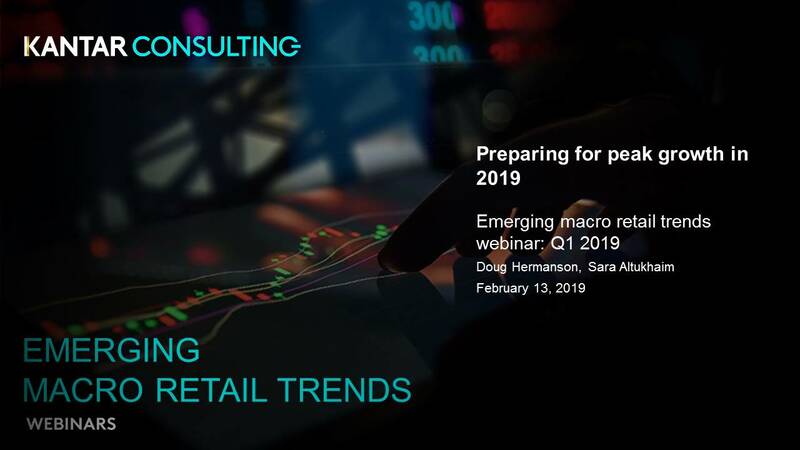 What’s on tap for U.S. retail this year? 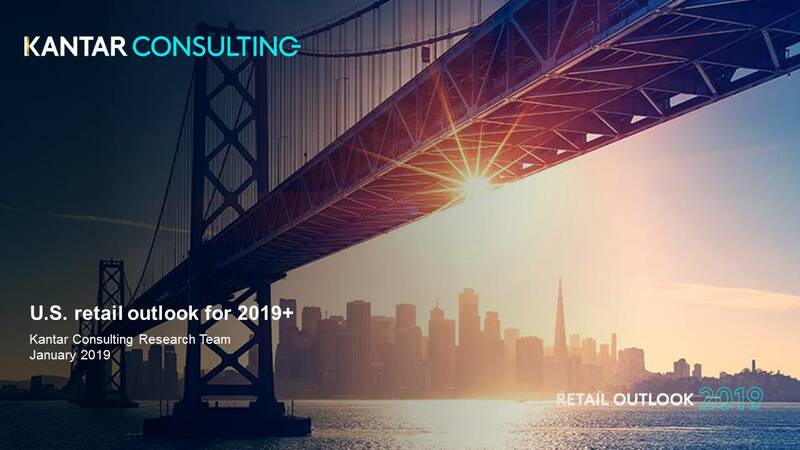 Our comprehensive report covers macro, shopper, channel, and retailer expectations for 2019. 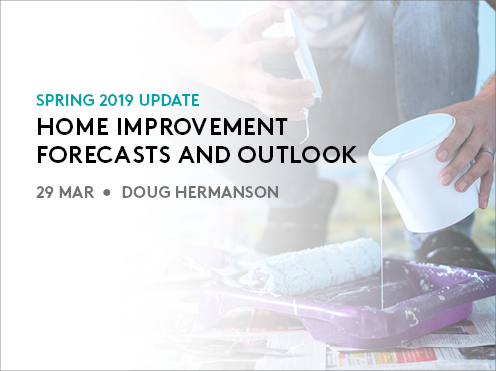 The latest macro outlook focuses on the job, price, channel, category, and geographic trends expected for the 2019 sales season, including what the 2018 holiday means for growth this year. 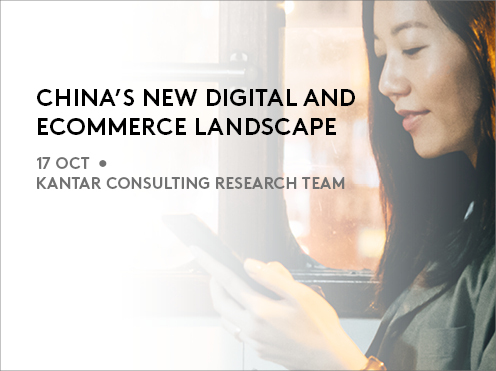 Understand the forces shaping shoppers’ expectations about what a shopping experience can and should be. 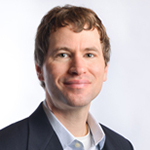 Learn the main “types” of value equations that shoppers today are seeking to maximize. 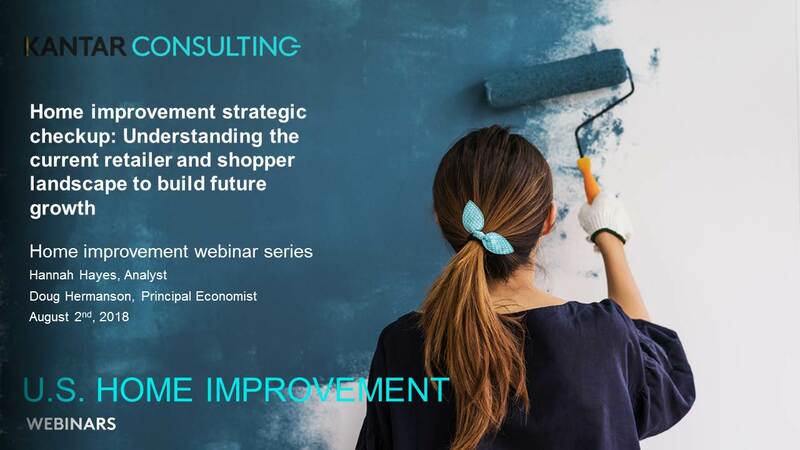 Discover strategies to cope with this complex and uncomfortable shopper landscape and unlock growth. 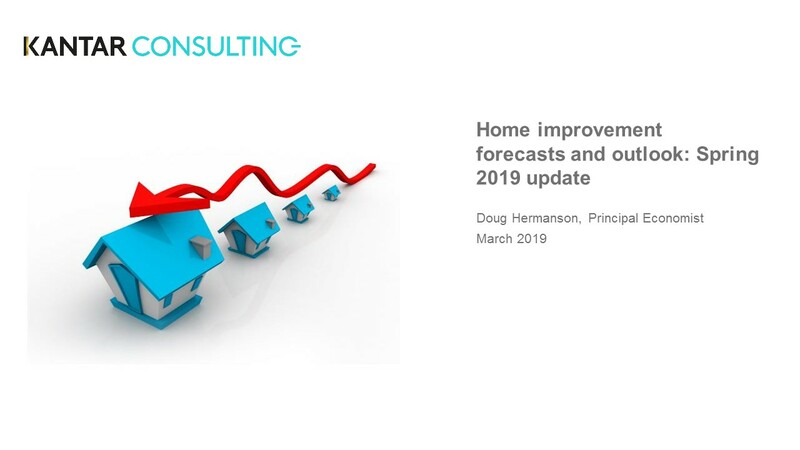 Kantar Consulting’s latest home improvement forecasts indicate a sea change is upon the channel after it led the retail average for most of the postrecession period. 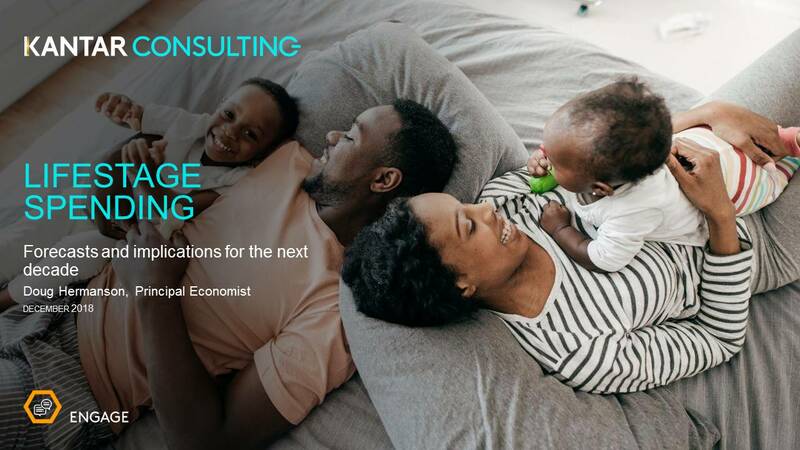 This slide deck summarizes Kantar Consulting’s U.S. online and in-store category spending forecasts to 2023. Additionally, gain access to all data and charts for fifteen online categories through a link on the webpage. 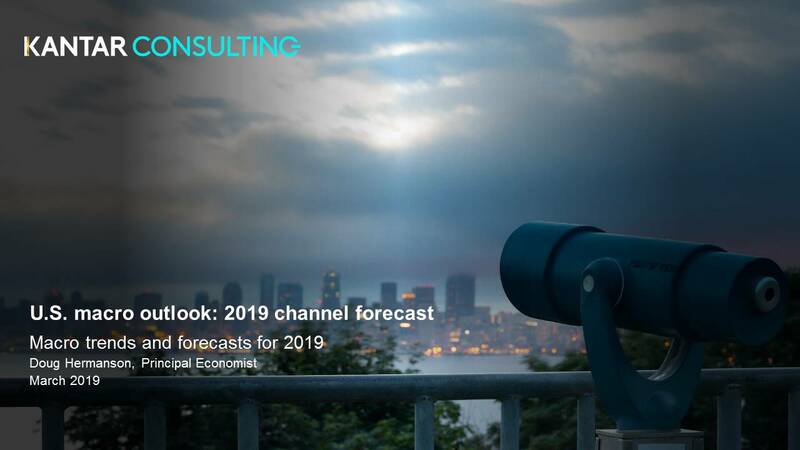 With growth becoming harder to find, especially in Europe and the US, brands are looking to China for more than innovative solutions they can apply in more mature markets, but as a means of unlocking the huge growth potential on offer. Hard discounters in Russia: A trend or a fad? Explore the role of private label and exclusive brands versus national brands in hard discounters. 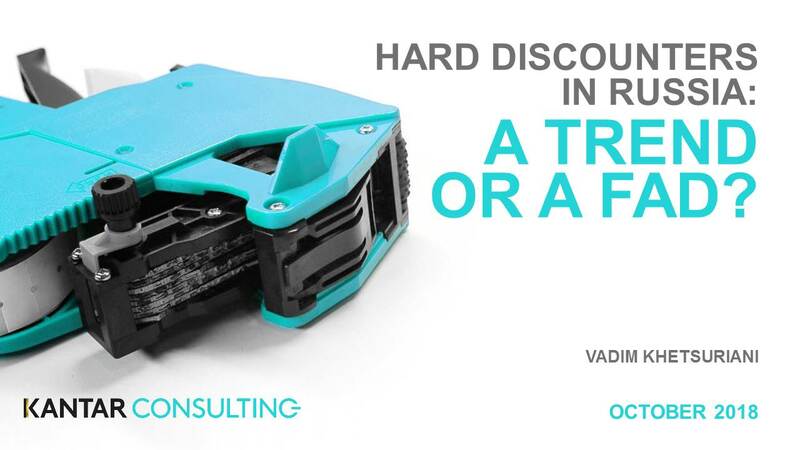 Examine the different hard discount business models in place in Russia, and know how your category operates in each. Understand specific shopper trips that hard discounters capture. 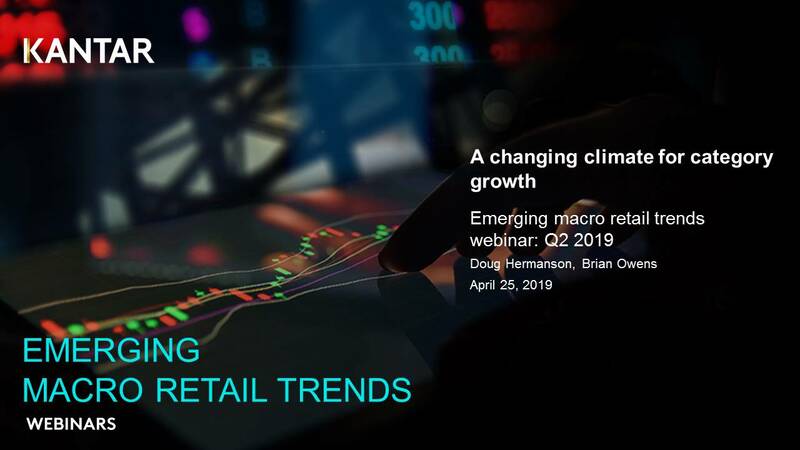 The quarterly "Emerging Macro Retail Trends" webinar series led by Principal Economist Doug Hermanson brings you a window to the future. 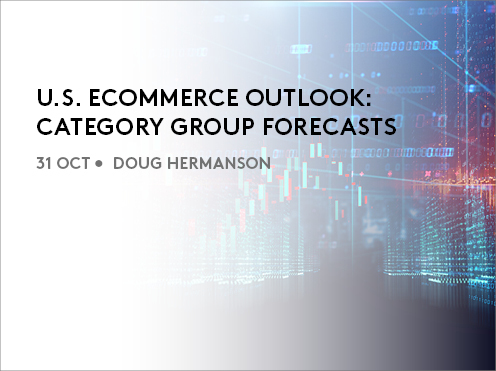 Doug interprets the latest trends and issues shaping "The Future of the Retail Marketplace."